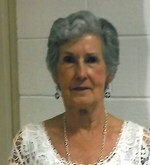 Imogene Smith, Age 83 of Primm Springs TN passed away March 9, 2019. Imogene was a member of First Baptist Church in Fairview TN. Imogene devoted her life to her family and education, retiring from the Williamson County School system. In her free time she enjoyed painting. She is preceded in death by her husband, James Weldon Smith and parents Dealvin “D.A” and Maggie Hemphill Slayton. Survived by her sons James “Dusty” Weldon Smith Jr. (Clara), Douglas Alan Smith (Karen), Bryan “Scot” Smith (Christie) and a brother, Charles Slayton (Esten); 7 grandchildren, 9 great grandchildren and 1 great great grandchild. Visitation will be held: Tuesday 4pm-8pm, Wednesday 12pm-2pm with the Funeral services immediately following at 2pm at Williamson Memorial Funeral Home 3009 Columbia Ave Franklin TN 37064. (615-794-2289) www.williamsonmemorial.com. Interment to follow at Williamson Memorial Gardens. In lieu of flowers, memorials may be made to Caris Healthcare or Waypoint at NHC Place at the Trace and please put “Imogene Smith Memorial” in the memo line.